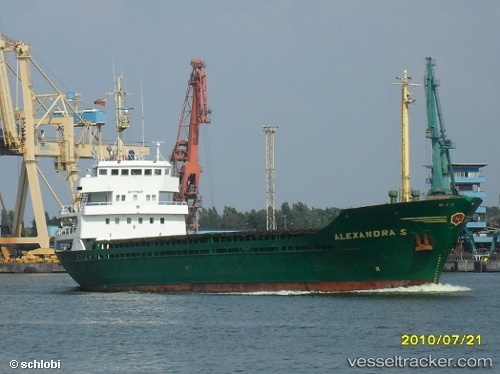 Libyan Navy arrested Lebanese-operated general cargo vessel Alexandra on Jan 7 14 for illegal entering Libyan waters. Master claimed vessel entered Libyan waters to avoid storm, vessel is bound for Alexandria, Egypt. Vessel taken to Tobruk, reportedly left Tobruk on Jan 8. Speaking at a press conference, Prime Minister Ali Zeidan praised recent efforts by the Navy in intercepting the Maltese-flagged oil tanker, Baku. The tanker was stopped while trying to illegally enter Sidra oil port on Jan 6. Speaking about “illegal attempt” to enter Sidra port, read about actual events at http://www.news.odin.tc/index.php?page=view/article/1121/Palmali-statement-with-regards-to-Libyan-Navy-attack-on-aframax-tanker-Baku Libyan waters are becoming dangerous, whether ship’s sailing is “legal” or otherwise, better keep out. Navy is deciding what’s legal, and what’s not.